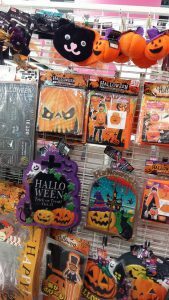 When I visited Daiso, I am amazed at the different types of Halloween decorations sold there. 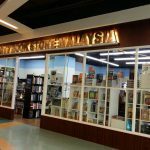 As the prices of all items are fixed at RM5.90, it makes it easier to choose. 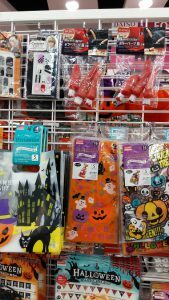 Note: In 2018, Daiso also sell Halloween items- hence I believe they would be featuring Halloween items in years to come. 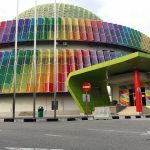 Effective 1 November 2018, the price is revised from RM5.57 to RM5.90 due to the implementation of SST (sales service tax). The price is also reasonable hence if you are not the type who likes to bargain price (like me), and have to get some deco for office competition, you can consider taking at look at Daiso. 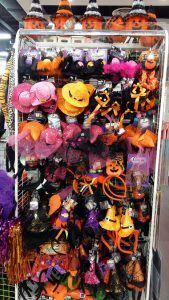 The above are little trinkets like hair bands and hair deco of the Halloween theme. 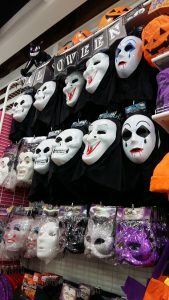 Above are Halloween masks – some of them looked a little scary. Some cute like of those used in masked costume parties. 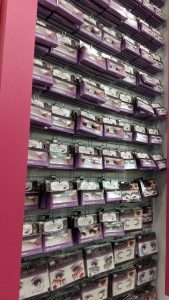 They also sold scary looking eye lashes and eye stickers to be used – some having stickers that looked like blood drips. Others are like fake fingers and ears as well as mini costumes. Finally they also have the cookie mould/ cookie cutter of the shape of a pumpkin and a cat. 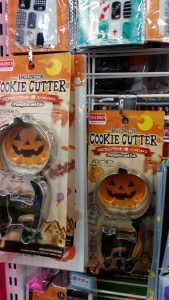 Even though the mould are a little expensive, but it is hard to find custom made cookie cutter with the Halloween theme. There also have nail art stick on with Halloween theme. For the price of RM5.90 RM5.57, some of the items may be cheaper than those sold in specialty gift shops. 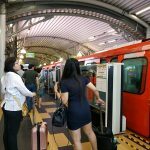 The listing of Daiso outlets and telephone numbers are available here.